Image above: Jet ski around the island of Mo’orea and stop at Cook’s Bay, which frames incredible views of Mount Tohivea, the highest point on the island. Photo by Bo Bridges. 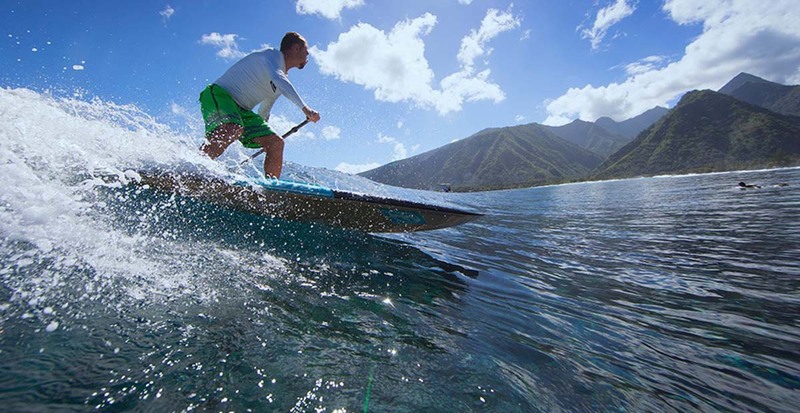 Want to discover the “mana,” or power of French Polynesia? 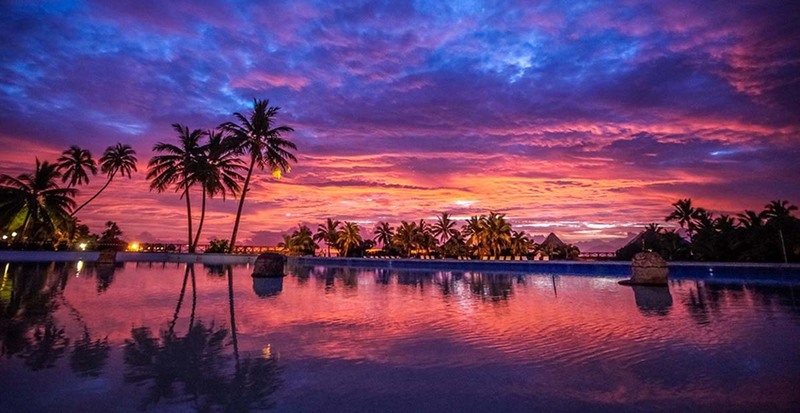 With these over- and underwater hidden gems, your Instagram feed will be buzzing with “take-me-to-Tahiti” envy. Here’s a cheat sheet to off-the-beaten-path adventure. On Raiatea, hike to the summit of Mount Temehani, an extinct volcano and the only place on the planet where the Tiare Apetahi flower grows. Temehani’s summit spies one of the best views in all of Polynesia; its undulating switchbacks are respectfully walked by fit locals and in-the-know tourists. Post-hike, dive for your own Tahitian cultured pearl at Anapaperles Pearl Farm. A swim-to hut sits off a reef about a half-mile offshore. After a tiny skiff whisks you to the hut, fins become your transportation. Dive for a fat oyster on the ocean floor, while giant blue clams open and close in water so clear it’s as if being dropped in a private fish bowl. Hand over your oyster to the pearl “surgeon,” who extracts a stunning Tahitian cultured pearl, and voila, you’ll leave wearing it around your neck (or have a great gift for someone back home). Biking the island of Bora Bora is also a must. Stop at the oceanside Snack Shack for French rose and quiche and book a private lunch tour where sashimi is served from a table immersed in the ocean. On Taha’a, the Vanilla Island, the scent of local monoi oil is a welcomed tease prior to a stand-up paddle boarding around Motu Mahaea. And according to another island’s lore, when glimpsed by ship the island curves of Huahine are akin to an expectant mother-to-be. Home to the largest amount of sacred “marae” temples in French Polynesia, Huahine’s ancient stonefish traps at Lake Fauna Nui are equally of note. 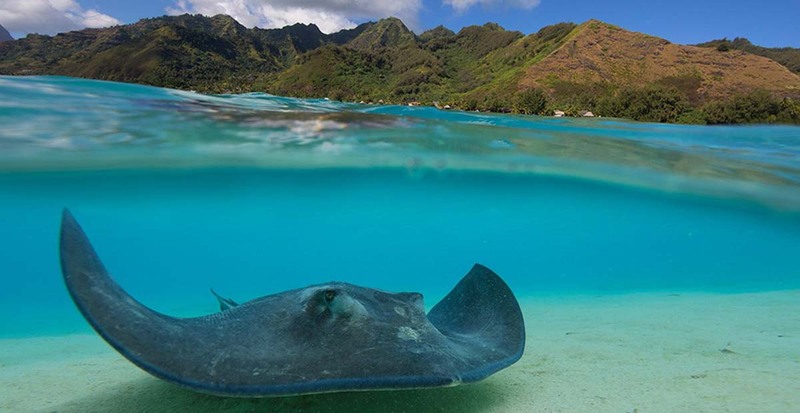 Visit Stingray City in Mo’orea, a postcard-perfect lagoon where travelers get up close and personal to curious stingrays and black tips reef sharks. Photo by Bo Bridges. A local surfer tackles Teahupoʻo, one of the heaviest and most beautiful waves in the world and a bucket-list check for expert wave riders in Tahiti. Photo by Bo Bridges. The Conrad Bora Bora Nui debuted a major renovation in April 2017. Design highlights include two presidential, multi-level overwater bungalows with private pools that overlook a kaleidoscope of ocean blues of Bora Bora. Photo by Bo Bridges. Sunset over Tahiti, famous for overwater bungalows, the tattoo, and surfing. Venture off the beaten path, however, and discover island hopping here is also defined by local folklore and ancient marae temples. 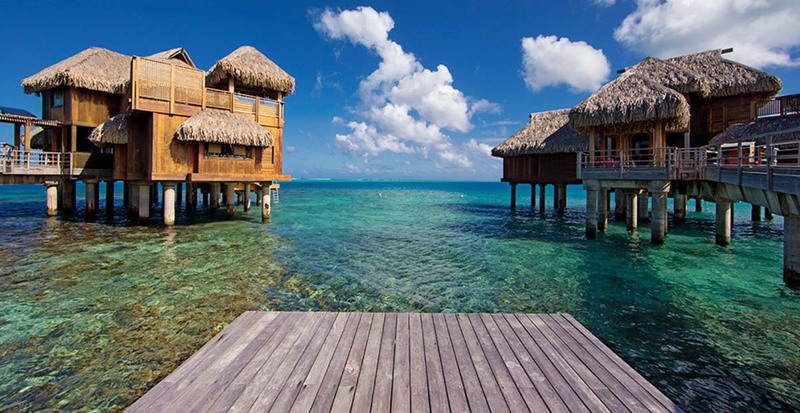 Find exclusive offers for your next vacation to The Islands of Tahiti.